Archway Interiors Ltd is excited to announce that we will be adding the Samsung Chef Collection Appliances to our high-quality appliance range. 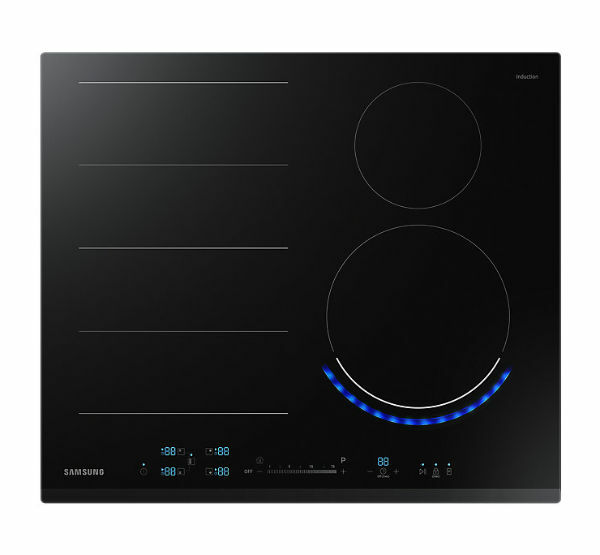 Samsung like to innovate and their induction hobs and duel flex ovens are no exception! The electric induction hobs featuring the distinctive Virtual Flame Technology™ lets you enjoy the intuitive visual control of flames. LED lighting in front of the burners glows like a real gas flame and indicates the level of heat for a more intuitive way to cook. It also clearly shows if the burners are on or off, giving you added peace of mind. Cook multiple dishes with ease using Flex Zone Plus to cook large or multiple dishes on the extra wide zone, offering great flexibility and efficiency. It can accommodate many sizes of cookware and it even detects their number, size and shape. So everything is cooked evenly using minimal energy and enjoy the ultimate convenience with Wi-Fi Connectivity. Samsungs dual cooking electric ovens with Dual Cook Flex™ cooks at two temperatures when needed. It has a hinged, Flexible Door giving you the choice to access the full oven or just the top half, without interrupting what’s cooking below and doesn’t waste energy heating the full oven, saving you 20% on energy* when only using the top half. 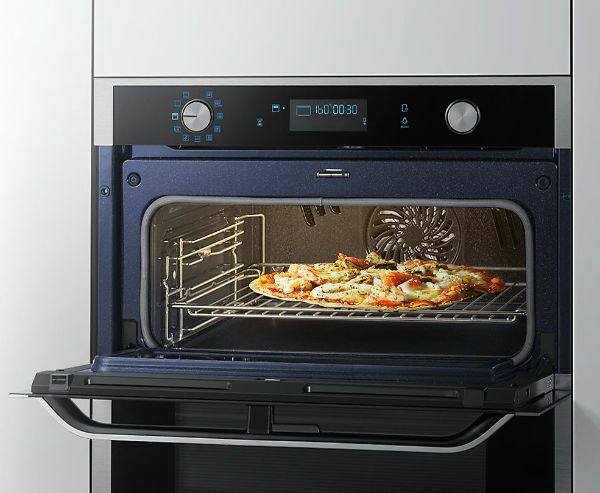 The ovens also feature Wi-Fi Connectivity to allow control of the oven anytime, anywhere using a mobile App. You can preheat the oven or turn it off. You can also check and adjust the cooking temperature and time or quickly select pre-programmed settings. 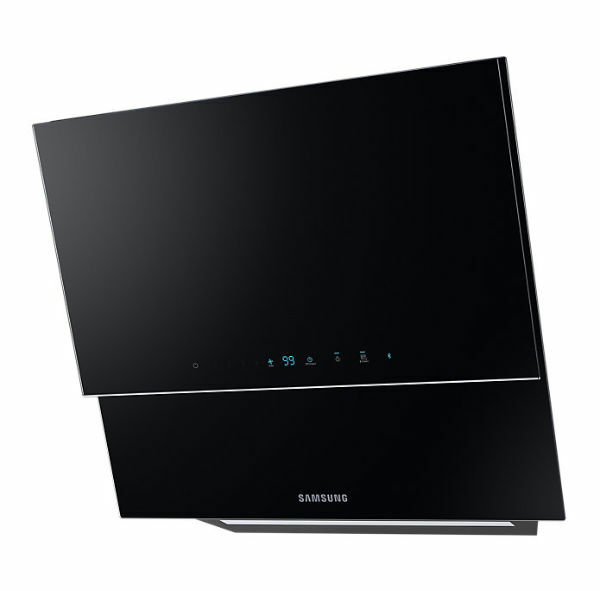 We also have the stylish Samsung wall mounted cooker hoods with built-in Bluetooth hob auto connectivity, which turns your hood on automatically when you start cooking, ensuring a pleasant and healthy cooking environment. These innovative hoods also feature a near-silent Power Ventilation System refreshes the air and an amazing 737 cubic meters an hour suction capacity. So it gets rid of steam, fumes, and odours extremely quickly and quietly. 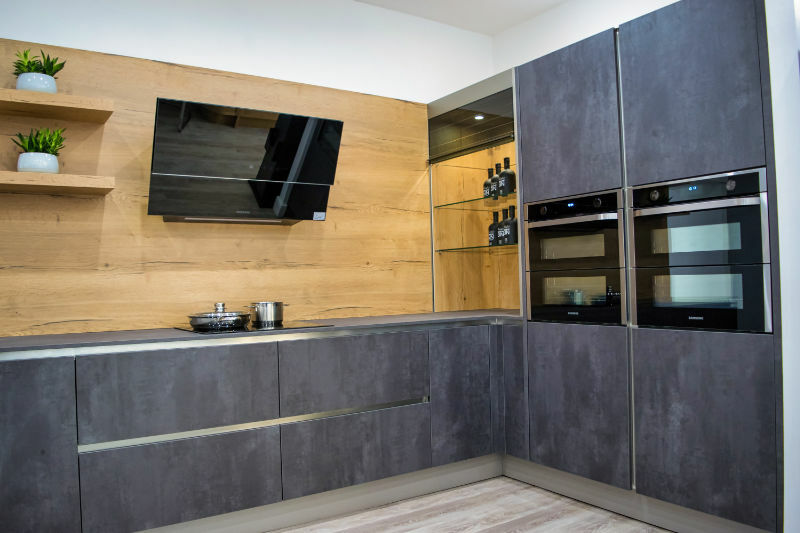 Why not drop by our showroom for a demonstration or call 01773 608365 for information about our new Samsung appliance range.